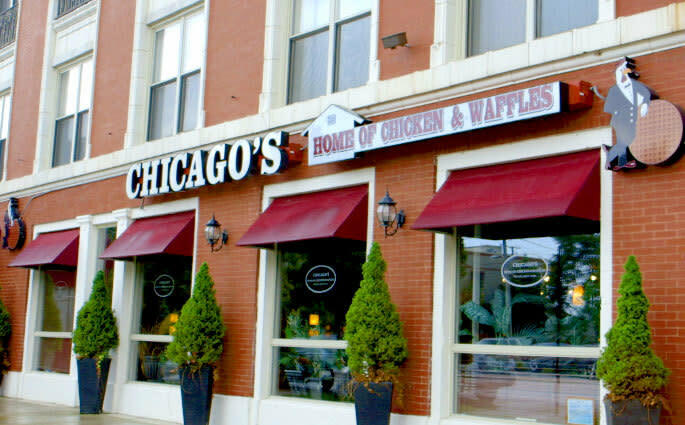 3947 S. Martin Luther King Dr.
At Chicago's, all of our food is prepared with the freshest ingredients. We offer a generous menu selection consisting of fried chicken, southern fried catfish and grits, omelets, grilled salmon, lemon pepper grilled catfish, peach cobbler, sweet potato pie and of course, our famous waffles, just to name a few. Breakfast, lunch and dinner are served all day!